The magic of the FA Cup is back on Saturday as Khalsa travel to Stourport Swifts for a preliminary round clash at Walshes Meadow (kick off 3pm). Both sides will be familiar with one another having scrapped out a 0-0 draw just ten days earlier in a game which Stourport were the better side, save for a late blitz by the home side which might have bagged them three undeserved points. The point won at the Aspray Arena is one of four secured this season which leaves Swifts in fifteenth place, four points behind Khalsa in eighth. Swifts started the campaign with a last gasp 3-2 opening-day defeat against new boys Ilkeston Town and then a 2-1 reverse at home against Wolves Sporting before knocking Shawbury out of the cup in the extra qualifying round. They followed up their point at Khalsa with a 1-0 win against bottom side South Normanton before suffering a 4-0 defeat against Romulus on Monday night. 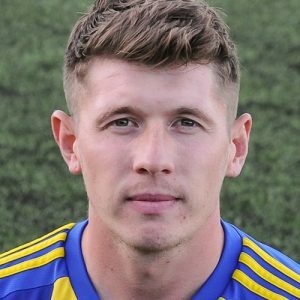 Alex Perry – ever present for Khalsa this season having joined from Swifts in the summer. It is early days for new manager Quentin Townsend who was appointed in the summer in a bid to improve on the club’s 15th place finish last season. Townsend has installed local non-league goal machine Mark Danks as his player-assistant manager while recruiting former Bromsgrove Sporting marksman Andy Nicol (who has already bagged three this season) and Drew Canavan in midfield. The club has also taken on Kidderminster Harriers loanees Harry Higginson and Harry Stratford and Jack Downing has joined from AFC Telford. 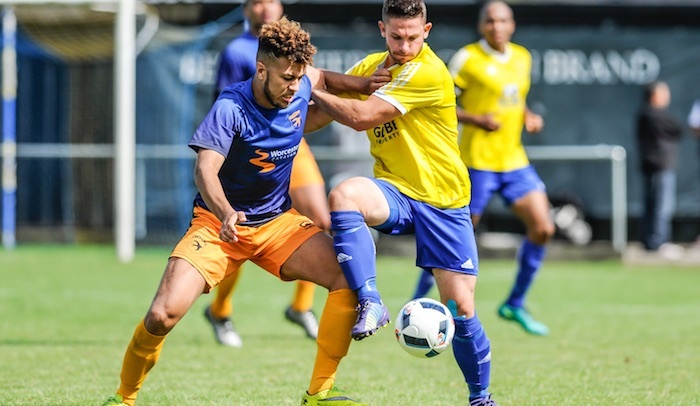 As for Khalsa, after a ropey start, they have found a bit of momentum, beating Wolverhampton Sporting Community 4-1 on Tuesday and Loughborough University 2-0 on the Saturday before, leaving the club in eight spot in the Midland Football League. But in so much as early season form has little relevance in any case, in the FA Cup form is well and truly out the window. There are a handful of players with history at both clubs. Swifts skipper Alex Perry has switched over to drive the Sporting Khalsa engine room and has been ever present this season. Meanwhile, centre-half Rudy Misambo – who was immense in the draw at Khalsa – spent a month or so with Khalsa at the start of the 2016-17 season, making his debut in the FA Cup against Hanley Town. Additionally, Sporting Khalsa coach ‘Tiger’ Tony Higgins is well known to the natives of Stourport as the sharpest postie in town. Located next to the Severn (perilously close when the water levels start to rise), Stourport is definitely one of the favourite jaunts for visiting supporters based in the Black Country. The town is likely to be busy as it’s Bank Holiday weekend, the club house is cosy and welcoming. It’s FA Cup day, what’s not to like?